What’s the connection among these women? These are all women who have lung cancer. Women who have lung cancer and who are still here because of advances in research. Women who live every day to the fullest and women who depend on all of us to share their stories. 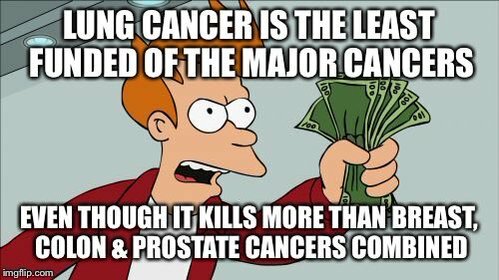 KNOW THIS: Lung cancer takes more lives than breast, prostate and colon cancers combined. What are we gonna do about that?